Hey everyone! Welcome back. I hope you all have had a great week so far! It’s my spring break, and I am thoroughly enjoying my time off. I thought I’d share my most recent progress/transformation picture with you guys- on the left was this time last year and the right is now! I’m proud of myself and my accomplishments and I can’t wait to see what else is to come! Ever since I started on my fitness journey, one of the main things people want to know about is my motivation and where they can get some. Unfortunately, I can’t show you where to get it. There is no black market for motivation. Starting off, my main motivation was simply that I was tired of feeling gross. I felt lethargic, fat, and unhealthy. It got to a point that I knew I needed to make a change, so I pushed myself out of my comfort zone and changed my lifestyle. 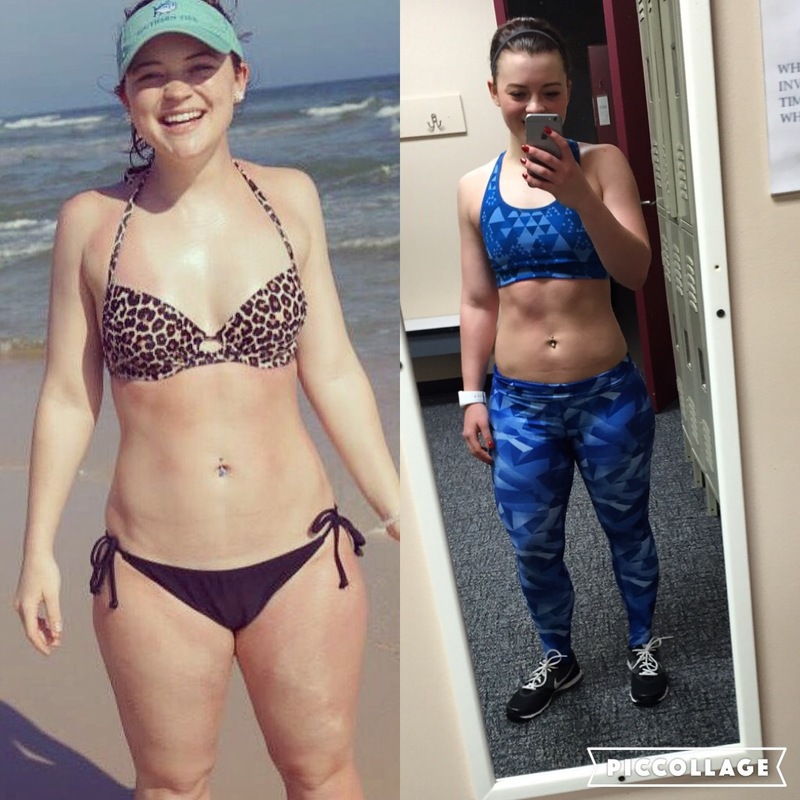 I found a lot of motivation on fitness blogs and instagrams, and in the beginning they really helped me stay on track. I began comparing myself to those people though, and when I realized that it wasn’t healthy or beneficial, I decided that I needed to find something else. That’s where I started, but lately my motivation has changed. I am my own motivation. I do this for myself, for my health, for my happiness. I am competing against myself. I am motivated because I know that I can do better, that I can reach my goals, and that I can top my own personal records. The only person I will compare myself to is who I was yesterday. I think this is the best way to motivate yourself- by competing against yourself. Don’t get me wrong, it’s totally fine if you see someone being successful and you take inspiration from that. I can only hope that I’ve been able to inspire some of you guys. But there’s a difference between being inspired by someone and using them as your motivation to keep working by continually comparing yourself to them. Everyone is different and everyone loses/gains weight and muscle differently! This makes comparing yourself to another person more detrimental than anything else. Find your motivation to be the best version of yourself that you can possibly be and don’t worry about other people. That’s all I have for today, I hope you guys have a great Friday and a safe weekend!